"His heart can't handle our gravity, it's too risky!" 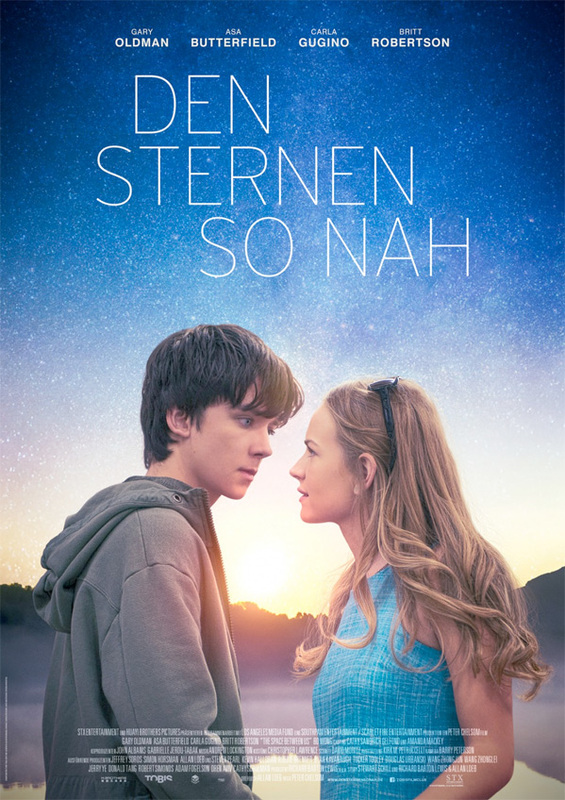 STX Entertainment has debuted one more trailer for the cheesy romantic drama The Space Between Us, about a boy born on Mars who returns to Earth and falls in love with a young woman from Colorado. We've seen so many trailers for this already, and the film was delayed from being release last fall, until this February (supposedly to distance itself from the release of two other big space movies last December - Rogue One and Passengers). Asa Butterfield plays the boy, and Britt Robertson plays the girl he falls for and chases all over Earth. The full cast includes Carla Gugino, Gary Oldman, BD Wong, Janet Montgomery, and Jenny Gabrielle. Will this end up being worth the wait? I'm not so sure, but hopefully they won't delay the release any further. I just want to see this already. You can still see the first official trailer for The Space Between Us here, or the second trailer here for more. In this interplanetary adventure, a space shuttle embarks on the first mission to colonize Mars, only to discover after takeoff that one of the astronauts is pregnant. Shortly after landing, she dies from complications while giving birth to the first human born on the red planet – never revealing who the father is. Thus begins the extraordinary life of Gardner Elliot – an inquisitive, highly intelligent boy who reaches the age of 16 having only met 14 people in his very unconventional upbringing… While searching for clues about his father, and the home planet he’s never known, Gardner begins an online friendship with a street smart girl in Colorado named Tulsa. When he finally gets a chance to go to Earth, he’s eager to experience all of the wonders he could only read about on Mars – from the most simple to the extraordinary. But once his explorations begin, scientists discover that Gardner’s organs can’t withstand Earth’s atmosphere. The Space Between Us is directed by Peter Chelsom (Serendipity, Hector and the Search for Happiness), from a screenplay by Allan Loeb. STX opens the film in theaters on February 3rd. STX can go away now. Uh... I liked the guitar riff heard in the music used in this trailer. That's about it. Well the teen-angst crowd will dig this. For me, not my cup of tea. I'll just go watch Punch Drunk Love again. It's Sandler's best performance and one of the finest "romantic comedies" around. Still holds up well too. Soundtrack is magical and fantastic. And it's my wife and mine's "movie". Well, if she goes back with him on Mars that could pay all her bills for the rest of her life. Sneaky little hussy, isn't she?